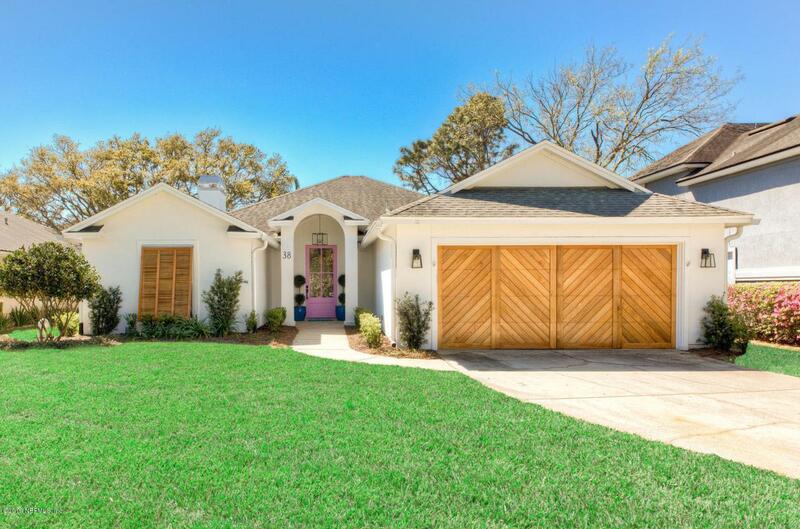 Step inside this COMPLETELY RENOVATED 3 bedroom 2 bath plus office/playroom home just steps to the beach, Ponte Vedra Inn & Club and Christ Church! Remodel was completed by OSSI Homes (2018) with all the fine finishes you would expect!! Smooth walls, high ceilings, light and bright rooms with wide oak floors. Custom closets, Visual Comfort Lights, Toto toilets with new doors and hardware. The back yard was regraded so it's nice and level complete with extra large slate tiles rounding off the private outdoor area. Fully turn key and ready for YOU!!! Don't miss this RARE OPPORTUNITY to live walking distance to the beach in one of the HOTTEST NEIGHBORHOODS IN PONTE VEDRA BEACH! FULL GOLF MEMBERSHIP INCLUDED TO MARSH LANDING COUNTRY CLUB, APPLICABLE DUES AND FEES APPLY.